The United Nations has declared 2013 as the “International Year of Quinoa”, partly to honour the Andean populations who ensured the preservation of this “pseudo-cereal” for 7000 years, and also to promote this grain that is becoming increasingly popular due to its many benefits for our health. 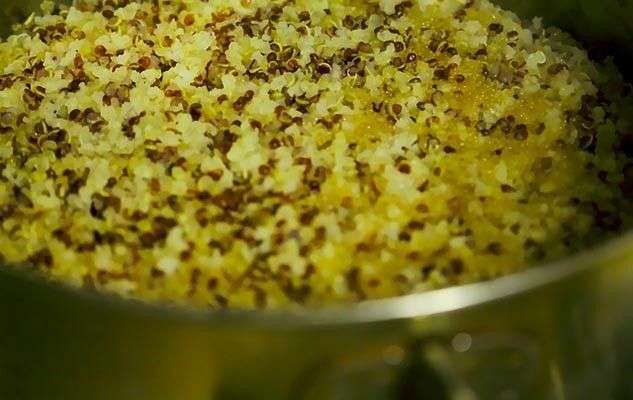 Not only is quinoa full of nutrients, proteins and Omega-3, it is also gluten-free and low in fat… The bulk of its production takes place without pesticides, thereby improving the preservation of the environment. Unfortunately, because of its newfound fame, quinoa is becoming less affordable in the Andean countries (Peru, Bolivia, Ecuador) where it was once the staple diet. Therefore its production has to be developed in other countries. Easy to prepare – it is cooked like rice and swells up during cooking – quinoa has a slight hazelnut taste that is very pleasant. Originally published in the Journal de Montréal on April 6, 2013.